In an emotional meeting with Prime Minister Narendra Modi on July 5 in Jerusalem, Moshe Holtzberg had expressed his wish to visit Mumbai. Moshe Holtzberg was two-year-old when his parents were killed in the Mumbai attacks. 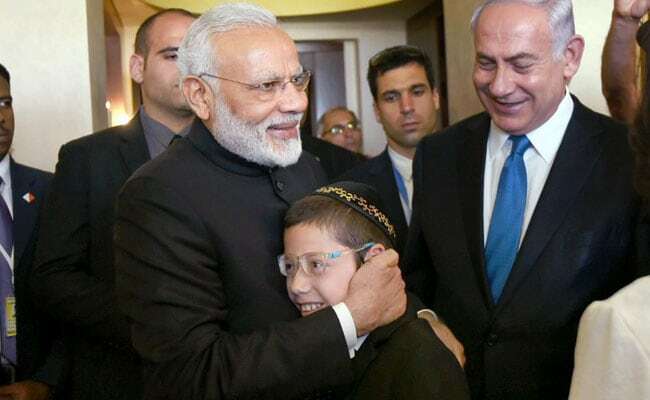 Jerusalem: Moshe Holtzberg, the Israeli child who as a toddler survived the 2008 terror attack at a Jewish centre in Mumbai, is feeling "emotional and excited" as he prepares to visit his birthplace during the four day visit to India by Prime Minister Benjamin Netanyahu later this month. Moshe, 11, was two-year-old when his parents were killed in the Mumbai attacks at Nariman House (also known as Chabad House) by Pakistan-based LeT terrorists. The boy, standing and crying between his dead parents' bodies, was saved in a daring move by his brave nanny, Sandra Samuels, who was hiding in a room downstairs when the attack happened. "Moshe is very excited and at the same time emotional as he gets ready to leave for Mumbai on January 15. He is returning to his birthplace and is waiting to see many things connected to his late parents that he has heard about from us and his nanny. There are lots of memories," an overwhelmed Rabbi Shimon Rosenberg, Moshe's grandfather, told PTI. In an emotional meeting with Prime Minister Narendra Modi on July 5 in Jerusalem, the young boy had expressed his wish to visit Mumbai. "I hope I will be able to visit Mumbai, and when I get older, live there. I will be the director of our Chabad House," Moshe had told the Indian Prime Minister. PM Modi had responded by saying, "Come and stay in India and Mumbai. You are most welcome. You and your all family members will get long-term visas. So you can come anytime and go anywhere". Israeli PM Netanyahu then promptly asked Moshe to join him when he travels to India, a promise he did not forget and has invited the family to join him in Mumbai during his forthcoming visit to India starting on January 14. "Moshe says that he was touched by the warm embrace he received from Prime Minister Modi when he met him in Jeursalem during his July visit to Israel. He says that he felt like it was one of his own people giving him a warm hug," Mr Rosenberg said adding, "he is hoping to meet the Indian Prime Minister again during his India trip". 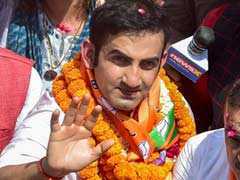 "He is waiting to host Prime Minister Netanyahu and his wife Sara, and hopefully PM Modi 'at his home in Mumbai'," the grandfather said. The young boy will be accompanied by his grandparents, Shimon and Yehudit Rosenberg, nanny Sandra and a psychologist during his trip to Mumbai. "During a meeting with the psychologist, who has been mentally preparing him for the visit, Moshe gave him an account of places in Mumbai he would like to visit. He has done his homework and knows about not only the site seeing places but also other places where his parents carried out works related to their assignment," Mr Rosenberg noted. Moshe's parents, Rabbi Gavriel and Rivka Holtzberg, who were serving as Directors at the Chabad House, were killed along with six others when the place also came under attack by Pakistani terrorists during the November 2008 Mumbai attacks. "It is heart warming to see that the Indian leadership and the people of India haven't forgotten us and share our pain. It gives us strength and makes us feel one", Mr Rosenberg said. In a brief telephonic call, Sandra, who was in Afula in the north of Israel where Moshe and his family lives, said that the boy is excited and told her before leaving for school on Sunday that it is like "homecoming" for him. The family also plans to celebrate Moshe's bar mitzvah in Mumbai. Bar mitzvah is a ceremony performed for Jewish boys at the age of 13 which some Israeli scholars compare with upnayana, or the thread ceremony. India issued ten year multiple entry visas to Moshe and his grandparents to ease their travel to the country in August. Prime Minister Modi is said to have personally followed up on the matter as promised to Moshe during their meeting. Sandra also now lives in Israel and has been felicitated with an honourary citizenship by the Israeli government.